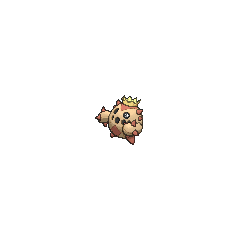 Cacnea in game: 3,918 Who? Important notice! 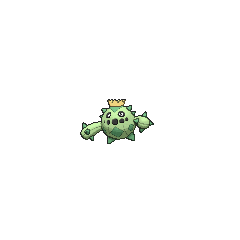 Pokemon Cacnea is a fictional character of humans. 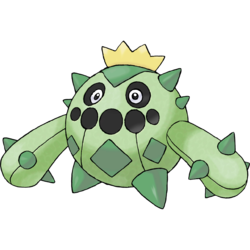 Cacnea is a green, bipedal Pokémon with a round body and cactus-like striations. 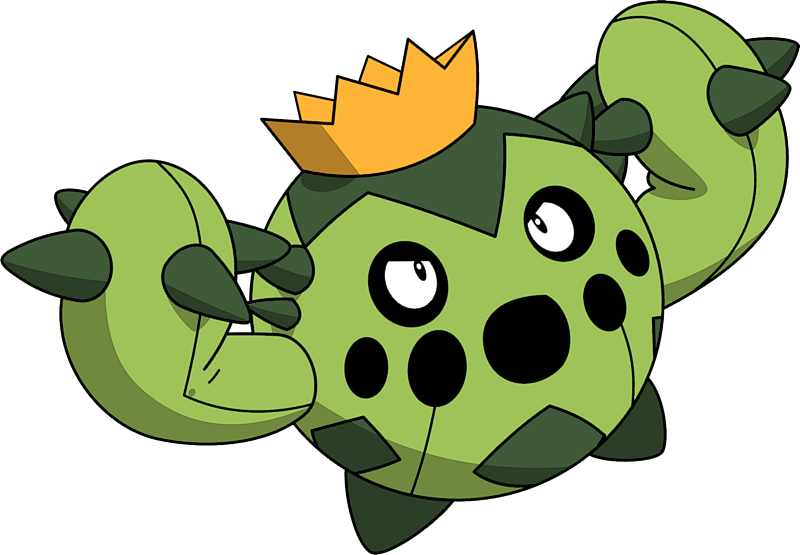 It has a dark green rhombus shape above its face, and six dark green rhombus shapes that ring around its waist. It has dark circles around its eyes, and its mouth composed of several similar circles. It has two dark green spikes on each side of its head, along with a yellow flower bud on top of its head. Its two club-like arms that are ringed with dark green spikes, and its two stubby, legs are dark green and conical. Cacnea first appeared in A Poached Ego. It became James's Pokémon after his Weezing and Jessie's Arbok left to protect a bunch of Ekans and Koffing that were freed from a Pokémon Poacher. In Once There Were Greenfields, James gave Cacnea to Gardenia in order to master Drain Punch. 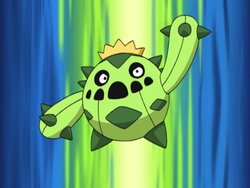 To date, no other Cacnea has appeared in the anime. 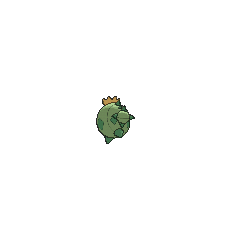 Cacnea first appears in the very first round of the Ruby and Sapphire chapter, Creeping Past Cacnea. As of Generation VII, Cacnea and its evolution's Egg Group (Grass and Human-Like) are unique. Cacnea is based on a barrel cactus and possibly from a jack-o'-lantern.